The domain within your query sequence starts at position 1000 and ends at position 1054; the E-value for the TSP1 domain shown below is 3.78e-5. Type 1 repeats in thrombospondin-1 bind and activate TGF-beta. Thrombospondins are multimeric multidomain glycoproteins that function at cell surfaces and in the extracellular matrix milieu. They act as regulators of cell interactions in vertebrates. They are divided into two subfamilies, A and B, according to their overall molecular organisation. 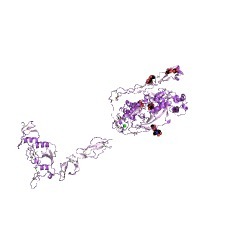 The subgroup A proteins TSP-1 and -2 contain an N-terminal domain, a VWFC domain, three TSP1 repeats, three EGF-like domains, TSP3 repeats and a C-terminal domain. They are assembled as trimer. The subgroup B thrombospondins, designated TSP-3, -4, and COMP (cartilage oligomeric matrix protein, also designated TSP-5) are distinct in that they contain unique N-terminal regions, lack the VWFC domain and TSP1 repeats, contain four copies of EGF-like domains, and are assembled as pentamers [(PUBMED:11687483)]. 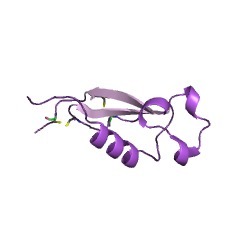 EGF, TSP3 repeats and the C-terminal domain are thus the hallmark of a thrombospondin. This repeat was first described in 1986 by Lawler and Hynes [(PUBMED:2430973)]. 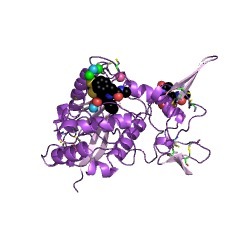 It was found in the thrombospondin protein where it is repeated 3 times. Now a number of proteins involved in the complement pathway (properdin, C6, C7, C8A, C8B, C9) [(PUBMED:2459396)] as well as extracellular matrix protein like mindin, F-spondin [(PUBMED:10409509)], SCO-spondin and even the circumsporozoite surface protein 2 and TRAP proteins of Plasmodium [(PUBMED:10508153), (PUBMED:1501644)] contain one or more instance of this repeat. It has been involved in cell-cell interaction, inhibition of angiogenesis [(PUBMED:10500044)] and apoptosis [(PUBMED:9135017)]. 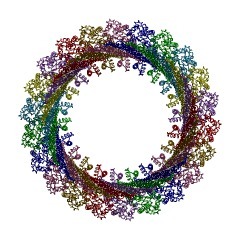 The intron-exon organisation of the properdin gene confirms the hypothesis that the repeat might have evolved by a process involving exon shuffling [(PUBMED:1417780)]. A study of properdin structure provides some information about the structure of the thrombospondin type I repeat [(PUBMED:1868073)]. There are 144158 TSP1 domains in 35805 proteins in SMART's nrdb database. Taxonomic distribution of proteins containing TSP1 domain. This tree includes only several representative species. 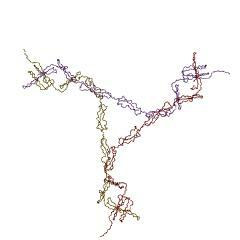 The complete taxonomic breakdown of all proteins with TSP1 domain is also avaliable. 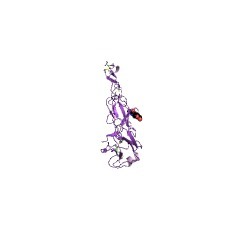 Click on the protein counts, or double click on taxonomic names to display all proteins containing TSP1 domain in the selected taxonomic class. Characterization of mutant forms of recombinant human properdin lacking single thrombospondin type I repeats. Identification of modules important for function. 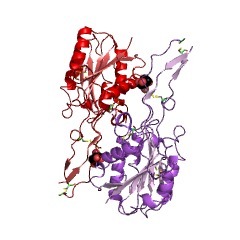 Properdin is a serum glycoprotein that up-regulates the alternative pathway of complement by stabilizing the C3b-Bb complex. It also binds sulfated glycoconjugates, such as sulfatide, in vitro. 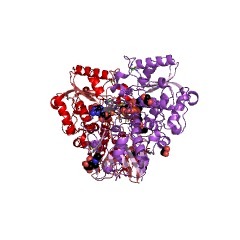 Properdin is composed of cyclic dimers, trimers, and tetramers of a 53-kDa monomeric subunit. 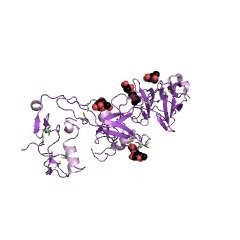 The monomer contains an N-terminal region of no known homology and six thrombospondin type 1 repeats (TSRs) of approximately 60 amino acids. To identify the regions of properdin important for function, we have expressed human properdin, and mutant forms each lacking a single TSR, in Chinese hamster ovary cells. 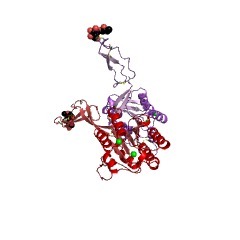 In addition, limited tryptic digestion yielded "nicked" properdin by the cleavage of one peptide bond in TSR5. The structural and functional properties of these altered forms of properdin were investigated. Properdin "nicked" in TSR5 is unable to bind C3b but retains its overall structure and its ability to bind sulfatide. 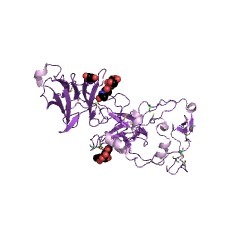 The removal of TSR5 prevents C3b and sulfatide binding. 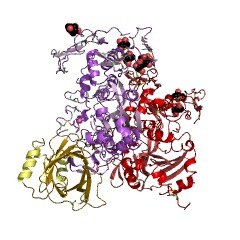 Properdin lacking TSR4 is unable to stabilize the C3b-Bb complex but is able to bind C3b and sulfatide, and shows the presence of monomers and dimers in an electron microscope. Properdin without TSR3 is able to stabilize the C3b-Bb complex, to bind C3b and sulfatide, and forms dimers, trimers, and tetramers. Properdin lacking TSR6 is unable to form oligomers. The N-linked carbohydrate of properdin is not required for oligomerization or stabilization of the C3b-Bb complex. The results implicate TSR5 in both C3b and sulfatide binding, and suggest that TSR4 may also be involved in stabilization of the C3b-Bb complex. Regulation of transforming growth factor-beta activation by discrete sequences of thrombospondin 1. Transforming growth factor-beta (TGF-beta) is a potent growth regulatory protein secreted by virtually all cells in a latent form. A major mechanism of regulating TGF-beta activity occurs through factors that control the processing of the latent to the biologically active form of the molecule. We have shown previously that thrombospondin 1 (TSP1), a platelet alpha-granule and extracellular matrix protein, activates latent TGF-beta via a protease- and cell-independent mechanism and have localized the TGF-beta binding/activation region to the type 1 repeats of platelet TSP1. We now report that recombinant human TSP1, but not recombinant mouse TSP2, activates latent TGF-beta. 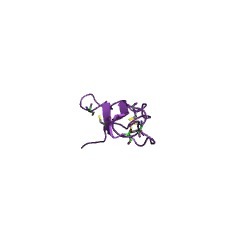 Activation was further localized to the unique sequence RFK found between the first and the second type 1 repeats of TSP1 (amino acids 412-415) by the use of synthetic peptides. 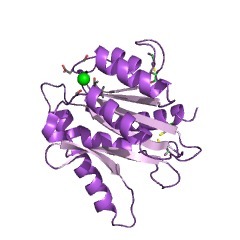 A peptide with the corresponding sequence in TSP2, RIR, was inactive. In addition, a hexapeptide GGWSHW, based on a sequence present in the type 1 repeats of both TSP1 and TSP2, inhibited the activation of latent TGF-beta by TSP1. This peptide bound to 125I-active TGF-beta and inhibited interactions of TSP1 with latent TGF-beta. TSP2 also inhibited activation of latent TGF-beta by TSP1, presumably by competitively binding to TGF-beta through the WSHW sequence. These studies show that activation of latent TGF-beta is mediated by two sequences present in the type 1 repeats of TSP1, a sequence (GGWSHW) that binds active TGF-beta and potentially orients the TSP molecule and a second sequence (RFK) that activates latent TGF-beta. Peptides based on these sites have potential therapeutic applications for modulation of TGF-beta activation. 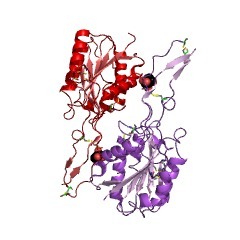 The type 1 repeats of thrombospondin 1 activate latent transforming growth factor-beta. Thrombospondin (TSP) is complexed with transforming growth factor-beta (TGF-beta) in the alpha-granules of stimulated platelets. TSP stripped of associated TGF-beta activity (sTSP) activates latent TGF-beta secreted by bovine aortic endothelial cells (BAE) in culture. To better understand the interactions of TSP with TGF-beta, we investigated which region of sTSP interacts with TGF-beta. The chymotrypsin-resistant core of TSP, which contains the procollagen-like region and the properdin-like type 1 repeats, activated both latent TGF-beta secreted by BAE and a recombinant form of the small latent TGF-beta complex at levels similar to or better than sTSP. The core fragment bound 125I-TGF-beta in solution and shifted the elution profile of 125I-TGF-beta in gel permeation chromatography. Fusion constructs of the type 1, 2, and 3 repeats and the COOH terminus of TSP1 were tested for their ability to activate latent TGF-beta. 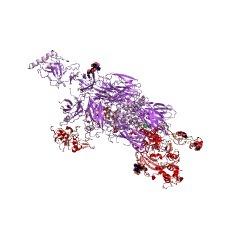 Only the type 1 construct, containing the three properdin-like repeats of TSP found in the 50-kDa fragment, activated latent TGF-beta. In addition, a polyclonal antibody against the type 1 construct inhibits activation of latent TGF-beta by intact TSP, suggesting that this region is exposed in the intact molecule. These results show that the type 1 properdin-like repeats of TSP are responsible for activating recombinant and endothelial cell-derived latent TGF-beta and that this site is exposed in intact TSP. The modular architecture of a new family of growth regulators related to connective tissue growth factor. 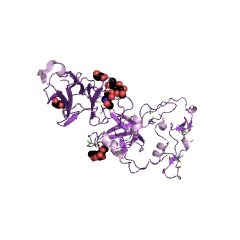 Recently, several groups have characterized and sequenced members of a new family of growth regulators (originally called cef10, connective tissue growth factor, fisp-12, cyr61, or, alternatively, beta IG-M1 and beta IG-M2), all of which belong to immediate-early genes expressed after induction by growth factors or certain oncogenes. Sequence analysis of this family revealed the presence of four distinct modules. 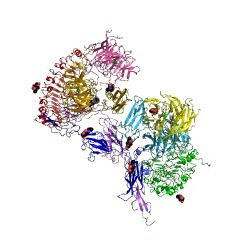 Each module has homologues in other extracellular mosaic proteins such as Von Willebrand factor, slit, thrombospondins, fibrillar collagens, IGF-binding proteins and mucins. 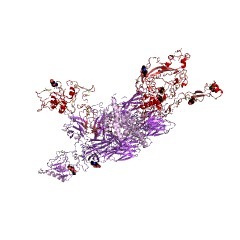 Classification and analysis of these modules suggests the location of binding regions and, by analogy to better characterized modules in other proteins, sheds some light onto the structure of this new family. 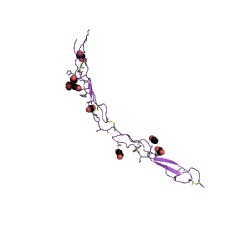 UNC-5, a transmembrane protein with immunoglobulin and thrombospondin type 1 domains, guides cell and pioneer axon migrations in C. elegans. The unc-5 gene is required for guiding pioneering axons and migrating cells along the body wall in C. elegans. In mutants, dorsal migrations are disrupted, but ventral and longitudinal movements are largely unaffected. 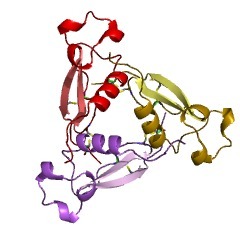 The gene was tagged for molecular cloning by transposon insertions. 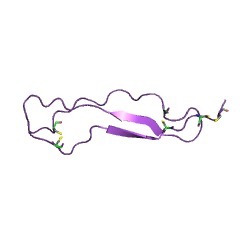 Based on genomic and cDNA sequencing, the gene encodes UNC-5, a transmembrane protein of 919 aa. 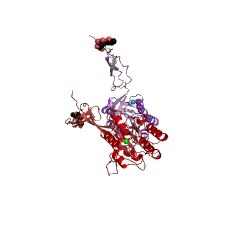 The predicted extracellular N-terminus comprises two immunoglobulin and two thrombospondin type 1 domains. Except for an SH3-like motif, the large intracellular C-terminus is novel. Mosaic analysis shows that unc-5 acts in migrating cells and pioneering neurons. We propose that UNC-5 is a transmembrane receptor expressed on the surface of motile cells and growth cones to guide dorsal movements. SwissProt sequences and OMIM curated human diseases associated with missense mutations within the TSP1 domain. This information is based on mapping of SMART genomic protein database to KEGG orthologous groups. Percentage points are related to the number of proteins with TSP1 domain which could be assigned to a KEGG orthologous group, and not all proteins containing TSP1 domain. Please note that proteins can be included in multiple pathways, ie. the numbers above will not always add up to 100%.